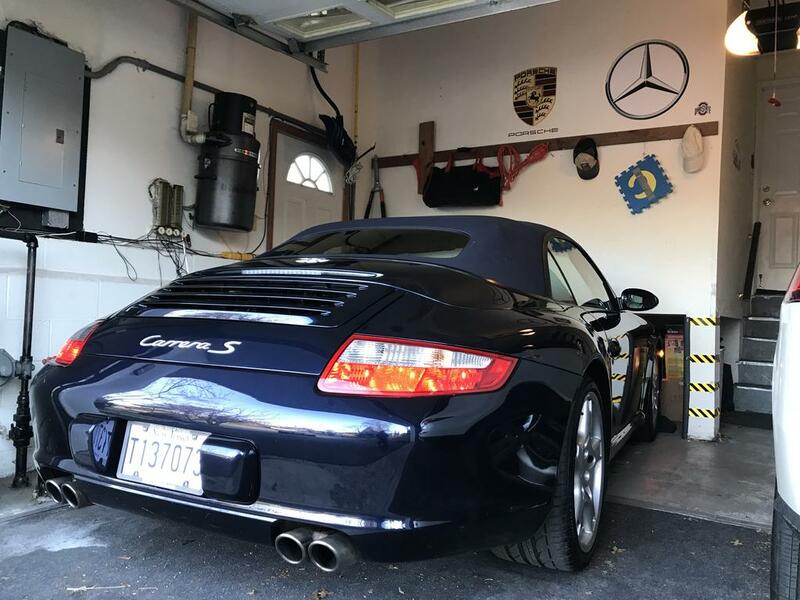 After 17 terrific years with my 986, I finally sold her the other day and put a 997S Cab in my garage as its replacement. 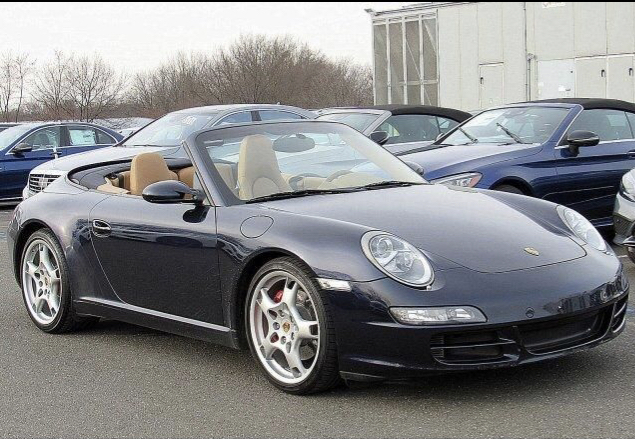 Gonna miss her, but luckily, I sold the Boxster to a very good friend so I can visit her whenever I want. Many thanks to you guys for all the info and fun chat over the years. Hope you don’t mind me popping in once in a while still. 17 trouble free years, 74k miles on the original IMS! New to me 07 997S. 27k miles on it. Midnight Blue with Sand Beige interior. The extra power is immediately noticeable for sure. And a backseat now so my son can join me and my wife on fun rides. Congrats on the sale & the 997S. Great color. Looks like the new ride is heavily optioned. Thanks!...it does have the Sport Chrono and I wanted to get something other than silver this time. Not sure about the lobster fork wheels, but I got time to customize her. Cheers. Can't see if it has auto climate control, but probably does. And if it has memory seats and auto dimming mirrors, chances are it has rain sensing wipers too. Congrats on the sale & purchase, BB. If you don't mind, what did the 997 cost you? It's beautiful !! Congrats BB - super sharp looking car and the dark side welcomes you! No worries, everyone here at 986forum is still cool to letting deviants stop by. PS - Wheels you can get ~ $700-900 for to a track junkie... maybe a couple $ more if the rubber is good. And can't go wrong w/ either Fabspeed or AWE cans to make it sound as awesome it is and looks! Wow! You know more about my car than me! Lol. I actually haven’t had too much chance to drive the car since I got it. Will need to figure everything out. Thanks...I picked it up for $43k at a Mercedes dealership that took the car in cause the owner of the car was friends with a sales manager there and the dealership checked the car out and they knew they could sell it easily. Before I bought it, I insisted that they put the car on a lift and let me check it out and pull the oil filter to see if there was any metal shavings. None. The mechanic who pulled the filter in front of me said he and 2 other mechanics there wanted to buy it. I saw it listed there before the pics were posted by the dealer and was the first one to go there to see it. Worked out ok I guess! Thanks Burg! Good info about the wheels. I think the car’s exhaust already has a Gundo hack cause it sound nice already! I checked out another one in Cobalt blue prior to getting this one, and it was pretty quiet in comparison. I hear from our friend Maurice that you got quite a nice Pcar yourself! Congrats! That's just my Wheeler Dealer eyes being able to spot options from pics. You never trust the ad. 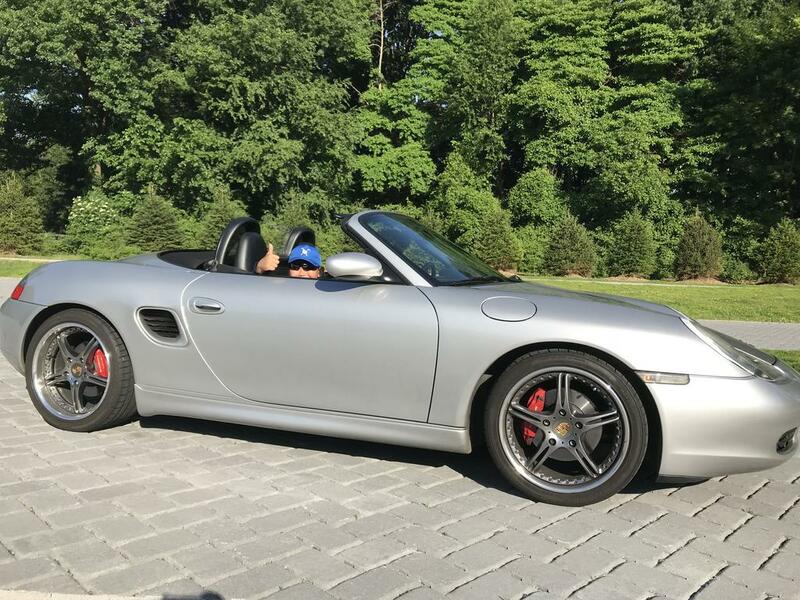 Funny thing about options, you get a car that has something you've never had and don't care about and suddenly that option becomes a 'must have' on your next car. They spoil you. Haha, I totally understand. I recall seeing the memory seat buttons and auto climate control on the car. 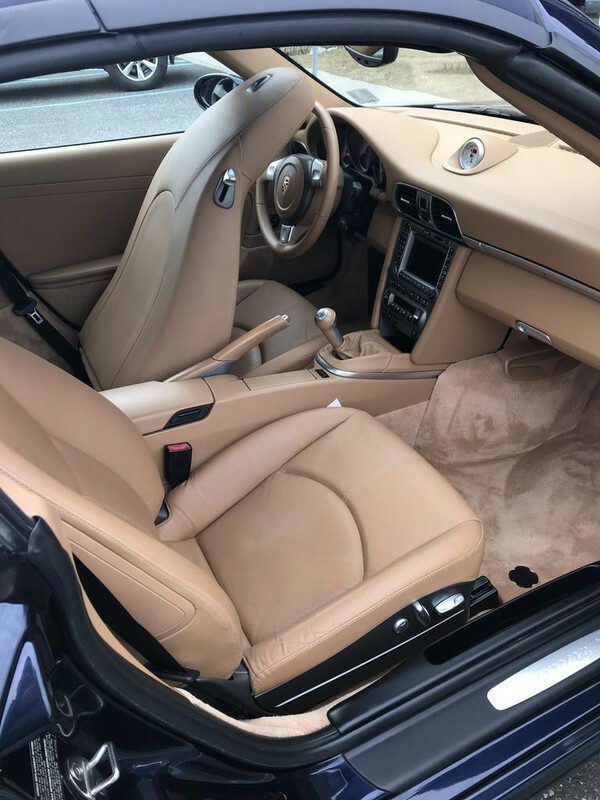 Honestly, I was just happy to be able to find this car in such good condition that I didn’t care much about all the options on it, but I am sure I’ll get used to the convenience features fast. Congrats, Boxtaboy! Looks sweet, love the color combo. The only thing I did not "like" about the 997 --> the design/offset of the steering wheel. Cause they remind me of lobster forks! I don’t think they’d fit your 03 base, as the rears are too wide I think. Perhaps some experts here know better than me though. Beautiful ride. The color is mesmerizing. I wouldn't change a thing on that car. It's perfect. Oh yeah, no more not a 986 jokes. You'll miss them. I'm not a fan of the lobster forks either. Can't really say why. Now the color and the contrasting interior. That is great. Thank you! Cobalt blue was my first choice in color to be honest, but I’m starting to really like this darker blue too. Thanks Mike. Yeah, I am really liking the color combo! Wow! That is an awesome new car! So happy for you. Be sure to drop in and say hi whenever you can.